Why the pilot light goes out and how it is related to improper venting of the gas water heater. Pilot outage issue, as one of the common problems, when operating gas-fired water heaters doesn't have to be hard repair or find the cause, as long as good working conditions are provided. Even if it happens, troubleshooting gets easier afterward. To avoid pilot light problems, sufficient air must be supplied to the combustion chamber, for both pilot light and the main burner, and especially with a new FVIR technology that doesn't tolerate contaminated environment. Regular burner assembly maintenance, including cleaning flame arrestor from dirt, dust, and lint is a must on gas water heaters. The area where the pilot light and gas control valve are and the opening for the air intake and venting must not be restricted. Our focus here is to explain to you how improper venting affects normal pilot light performance, about pilot light problems and why your water heater pilot light goes out. Correctly sized and run venting system is also a must for regular water heater performance and efficiency. Poorly designed and installed venting system and outside weather conditions can produce a "capping", and force the flue to stall. This is happening when the downward force of the air is equal or greater than the pilot draft in the vent, mainly due to high wind conditions. The natural draft inside the flue won't be enough to allow products of combustion coming from the pilot flame to rise; it will be pushed down so all the oxygen needed for gas combustion will be used up. To prevent pilot light from extinguishing, a vent termination has to have at least two feet extension above the roof to provide a necessary difference in pressure and allow natural draft. The most frequent scenario with the pilot outage is when the water heater is installed in the spaces like attic or garage and where the ventilation is the issue (insufficient amount of incoming fresh air). Water heater installation in the attic is especially problematic, due to the high temperature of the surrounding air, poor ventilation and little to no traffic. Poor ventilation means lack of incoming fresh air for combustion, resulting in improper gas combustion. How to recognize improper gas combustion? Observe what is happening inside the combustion chamber of your water heater, using the sight window on the unit, if it is present. Flame on the main burner will change the color, from light blue to yellow and red. Such a condition will also result in the flame pattern change, first, it will light smoothly, and then you will see luminous burner flame that will eventually flatten out. 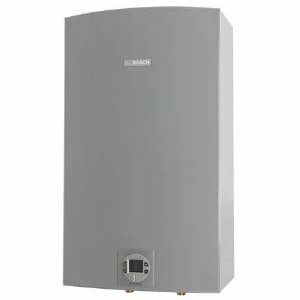 If during the summer months the air that surrounds the water heater is higher than the tank's set temperature, the thermostat won't open the gas valve to light the main burner. Heat produced by the pilot flame is not enough to make a condition for natural draft, so all the oxygen will burn up, and pilot light will extinguish. Also, if there is poor ventilation, the hot air tends to rise, and the combustion air from the attic doesn't come down to provide the oxygen to the burner, resulting in the pilot outage. Decompression is happening when the inside air pressure drops below the outside pressure. 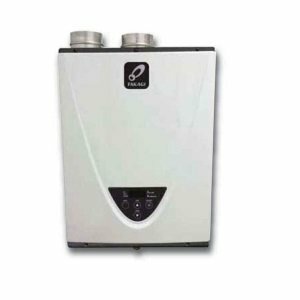 Instead of having products of combustion going from the water heater out, the higher outside air pressure will push the flue gases down, causing the negative pressure, where the fresh air cannot find its way to the combustion chamber and pilot light. Pilot light goes out as it runs out of oxygen as there is no natural draft in the flue pipe. 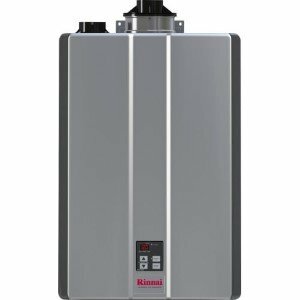 These three cases of the improper water heater installation or venting are good examples why to avoid installation in areas that are too small or closed rooms (attic, for example) where there is not enough air movement. Follow the codes for venting, see the requirements for air provisions and how to provide a sufficient amount of air, and what is needed when installing two or more gas appliances in the same room. Insufficient air supply will cause recirculation of combustion products, which will contaminate the surrounding air and become hazardous to life. This will also create improper gas combustion that results in the carboning or sooting combustion chamber, burners, and flue tubes as well. Ensure that the gas control button that lights the pilot is fully depressed and held down for at least 20 seconds. Verify that gas type used is per specs found in manual or rating sticker on your water heater. Check all connections of the pilot circuit. Check thermocouple and is it in full contact with the pilot light. If using power vent tankless models, check the sensors in the draft diverter. Low or no gas pressure. Pilot line or orifice got clogged. If the pilot light goes out and you smell gas leaking, turn the gas valve to OFF. If the gas smell is still present after turning the unit OFF and it doesn't dissipate, turn off the main gas valve, call the gas utility company to check, and wait for them outside.